Perfect for those Romantic Celebrations. 4-Poster King Bed. Ambiance Fireplace with sitting area. Television. Stained Glass Door and windows. Private Bathroom with shower. 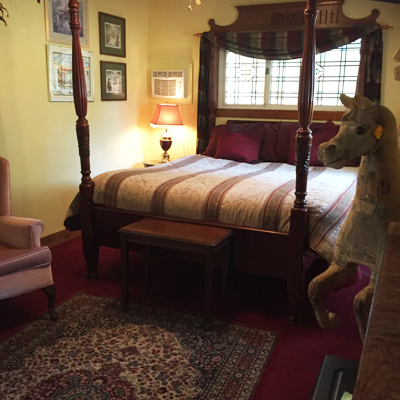 The Carousel Suite represents all you would ever want.